I ordered a trial set of casein paint to give it a try. I have only painted in watercolor so, while casein is a form of water media, it was a departure. This will take some getting used to, but this was a fun first try. Cardboard probably wasn’t the best surface to try it on first, but oh well. It’s relatively natural to use for structures, and the opacity is nice. I need to figure out sky painting with it. The sky in this painting doesn’t make sense. 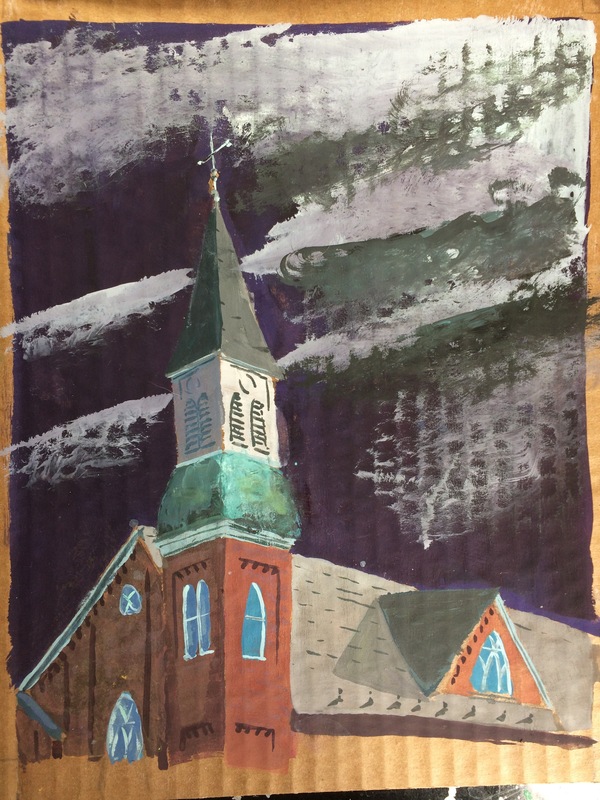 But since it’s opaque I can go over it again without having to repaint the church. I just got impatient. I should try this for a smaller work, probably a still life.